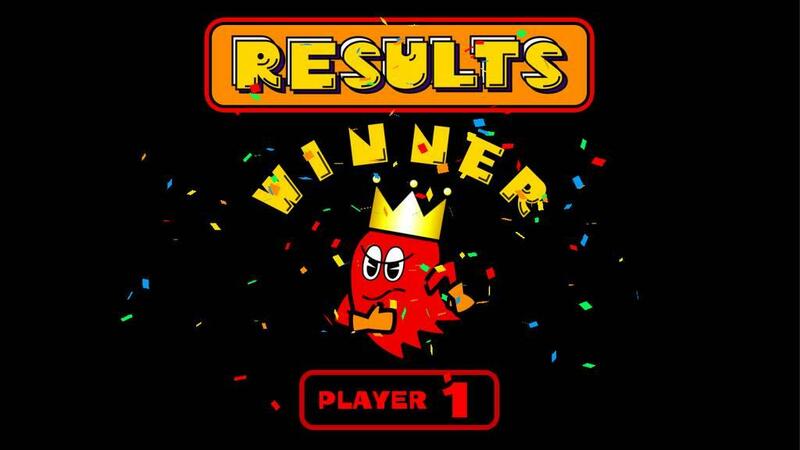 If there’s one thing Namco’s known for, it’s their quality arcade titles such as Pac-Man, Galaga, Dig Dug, and Rolling Thunder. If there’s another thing they’re known for its releasing arcade compilations for just about every major system since the original PlayStation. Don’t get me wrong, I enjoy a good arcade classic now and then, but there’s only so many times one can enjoy the same games before they need something different…well, usually anyway. 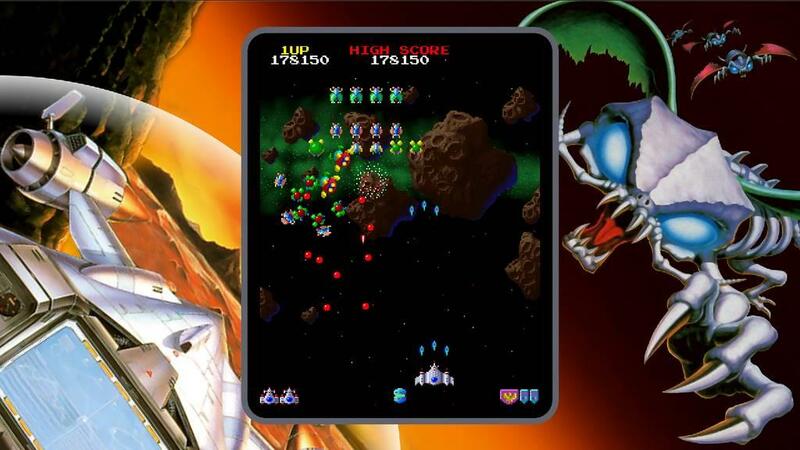 The point is with Namco Museum now out for the Nintendo Switch, it’s time to see what all Namco has thrown our way this time. 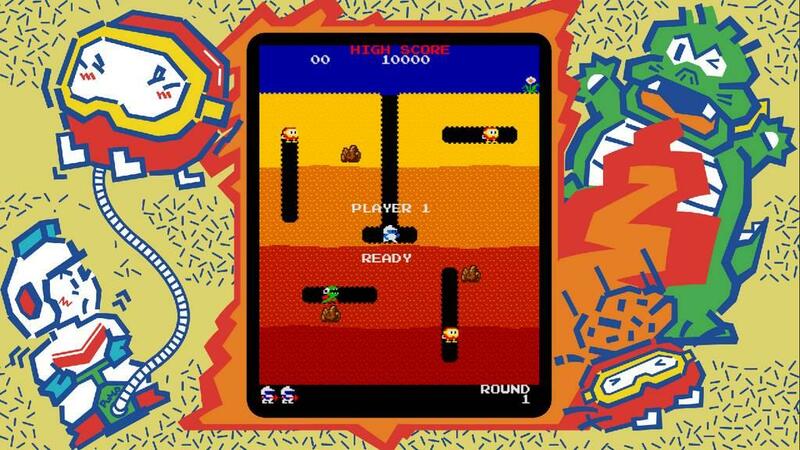 Namco Museum for the Switch brings together ten classic Namco arcade games: Pac-Man, Galaga, Dig Dug, The Tower of Druaga, SkyKid, Rolling Thunder, Galaga ’88, Splatterhouse, Tank Force, and Rolling Thunder 2. One thing that caught my eye right off was that there are only ten games (well, eleven but I’ll get to that in a bit). While the games on here are pretty good games in their own right, there are some interesting omissions that we’ve seen in previous compilations such as Rally-X, Mappy, Bosconian, and strangely Xevious which I figured would have been almost a given. The few non-staple games we did get are good in their own right, namely Splatterhouse and Tank Force which I’ve rarely ever played, so it was nice to finally be able to give them a shot. However, one would think that with the current consoles we’d get more than just the normal staples and a few more, especially considering how many arcade games Namco has under their name. 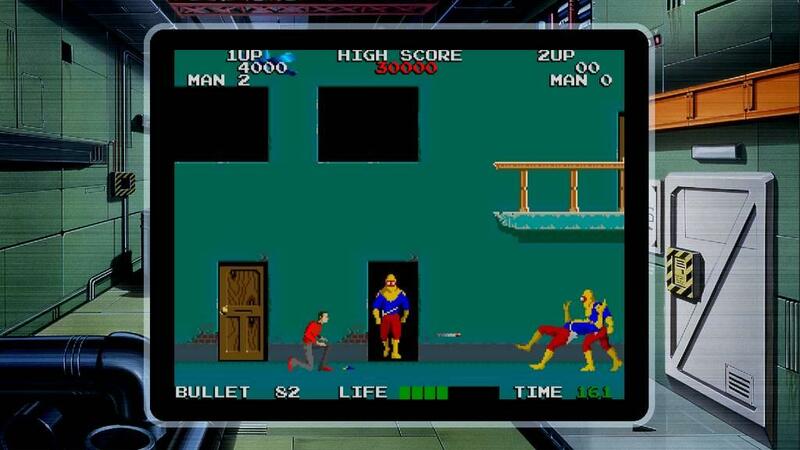 The games themselves play as they did in the arcade but now also have a Challenge Mode. Each game has a special challenge to fulfill within a certain time limit. 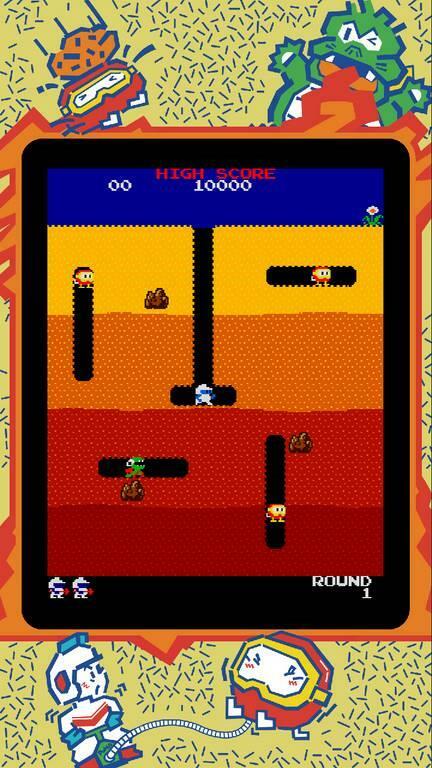 For instance, Pac-Man’s challenge is to eat the most ghosts in three minutes, while Dig Dug gives you three minutes to see how many enemies you can crush with a single rock (the challenge doesn’t end after you drop the first rock, but you get more points for every enemy you crush with a single rock, if that makes sense). This is an interesting way to bring a bit more of a challenge into the games, though some work better than others. 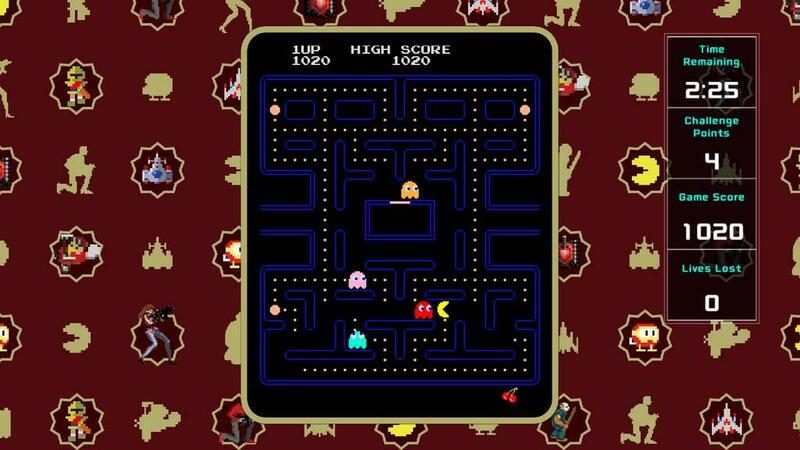 For instance, with Pac-Man you still have to grab a power pellet and then group the ghosts together to get the maximum number of points per pellet, but you have to start wondering if you should take the time to get them around the same area, or just grab a pellet and eat what’s near you. Since the board won’t reset until you clear it of every dot you won’t get too many chances within the three minute time limit. Within the games themselves you’ll find all sorts of options to change the controls and play around with the display settings. The default screen size isn’t too bad if played on a decent sized TV. All of the games will have a border around them with the game in the middle and the borders look nice enough. 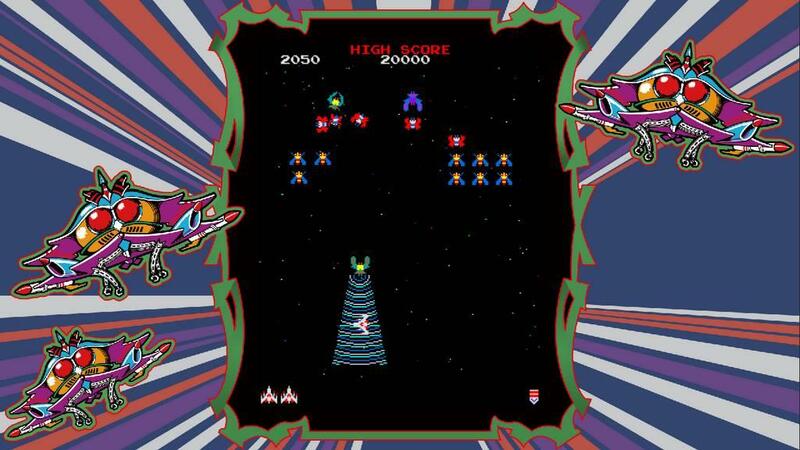 The first time I played the game I was playing with the Switch in portable mode with the joy-cons attached to the system and the first game I played was Galaga. That gave me a bad first impression because it can be kind of hard to see incoming fire when the screen is that small, but I eventually got used to it and adapted. 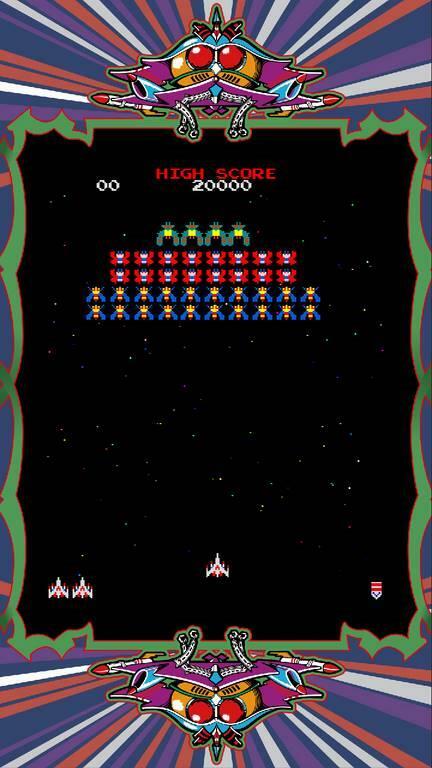 Galaga was actually the only game I had issues with at first due to the screen size; everything else was perfectly fine and even better when played on the TV. That does bring me to an interesting option for the games: rotating the screen. Each game lets you rotate the screen ninety degrees at a time either left or right, meaning you can play on its side or even upside down. Honestly I get why they put that in there: probably to simulate older arcade monitors. The problem though is that unless you have a monitor that can rotate and stand vertically, you’re probably not going to do this with any game. Well, unless you want to just put the Switch flat on a table and look down at it while playing with a single joy-con or if there’s an accessory to let you stand the Switch up vertically. If you can do that, then I can see using a vertical orientation. Beyond that though the normal display settings work pretty well. Also for the record, using the Switch with the joy-cons attached and rotating the screen ninety degrees does not re-orient the controls. I tried to setup just one joy-con as my controller but as soon as I slid it back into the Switch it disconnected itself. So I mentioned earlier that Namco Museum on the Switch actually has eleven games on it. 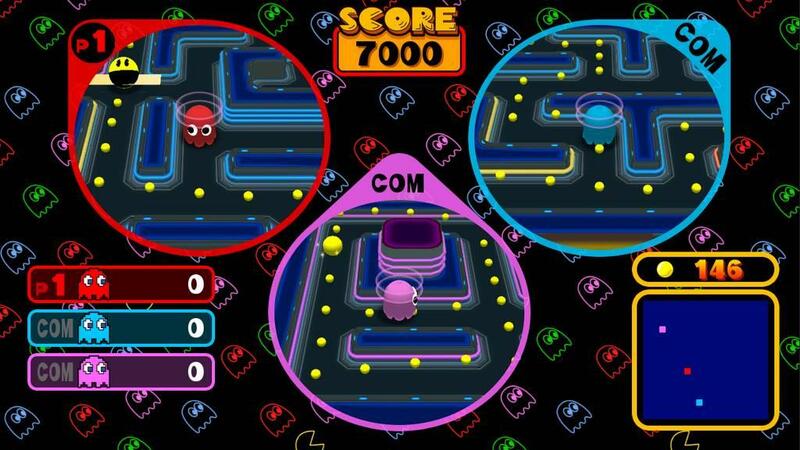 The eleventh is actually Pac-Man Vs. which was originally released on the GameCube. For those unfamiliar, Pac-Man Vs. was a multiplayer game in which one player played as Pac-Man and the other three as ghosts. 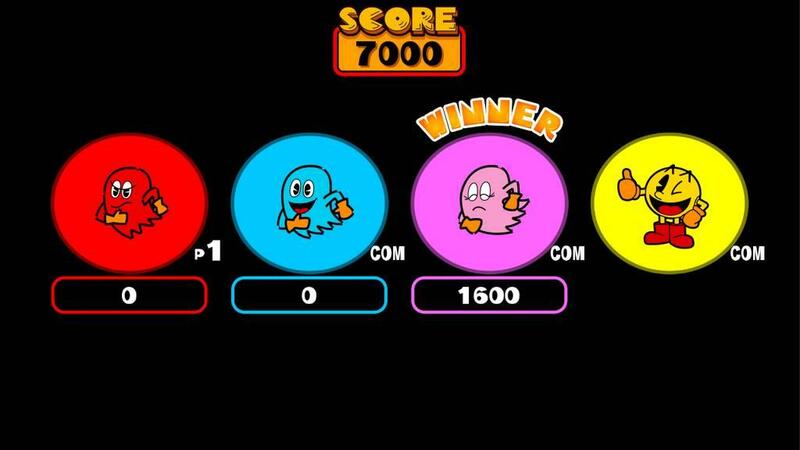 Each round consists of Pac-Man trying to score points as he does in the main game while the ghosts can score points by eating Pac-Man. On the GameCube, the Pac-Man player uses a Game Boy Advance attached to the GameCube to see the entire maze while the three ghosts use the GameCube controllers and can only see part of the screen. 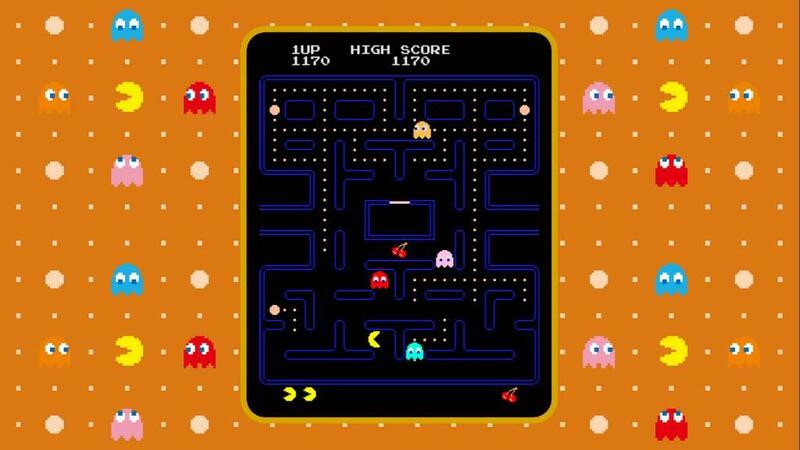 When a ghost eats Pac-Man, those two players swap controls with the ghost player now Pac-Man and vice versa. The goal is to reach a pre-determined amount of points, either 7,000, 10,000, or 15,000. It’s honestly a pretty fun concept. In Namco Museum though it’s a bit of a letdown, but that’s not entirely Namco’s fault. There are two options for Pac-Man Vs.: Original and Single Console. The original version is the same as the GameCube version, but instead of a GameCube and a Game Boy Advance you need two Nintendo Switches: one for the three ghosts and one for Pac-Man. 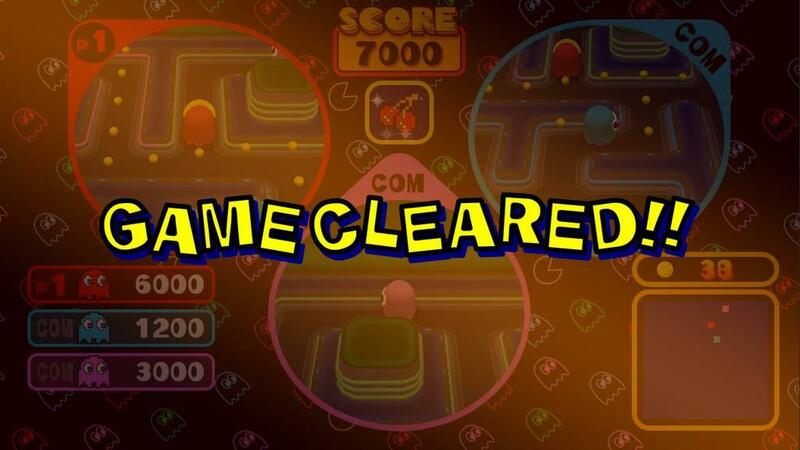 In the single console game though, you can only have one to three players, which is nice as the GameCube version doesn’t allow for single player play, but no one can control Pac-Man: it’s all about which ghost can accumulate the pre-determined amount of points first. 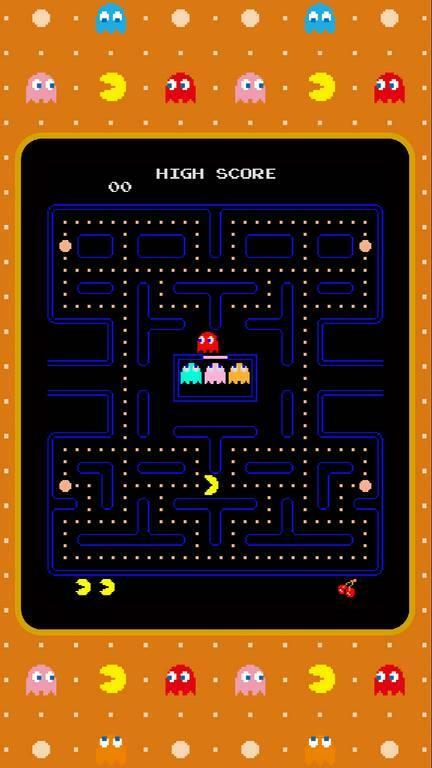 Thinking more about it that does make sense: that’s what the main Pac-Man game is for. Another difference is that in the GameCube version, any ghosts that aren’t controlled by a human start out gray and will turn into another color when touched by another ghost player, that ghost then counting as the player who touched it for the intent of gaining points. 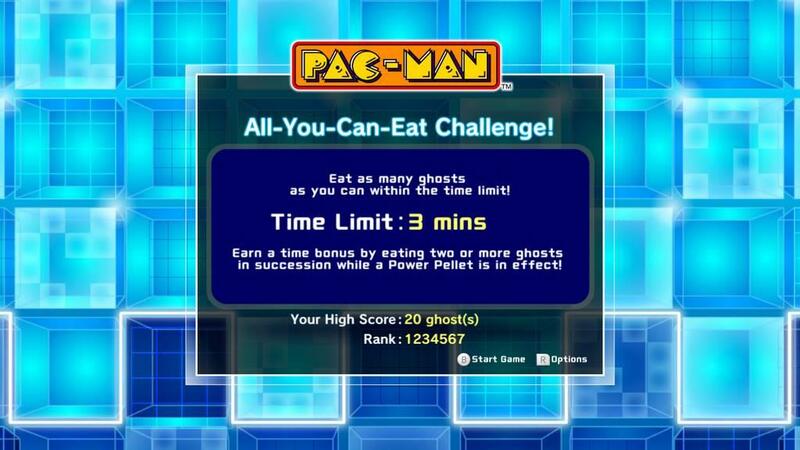 In the Switch version though, all CPU ghosts are out for themselves and score their own points. 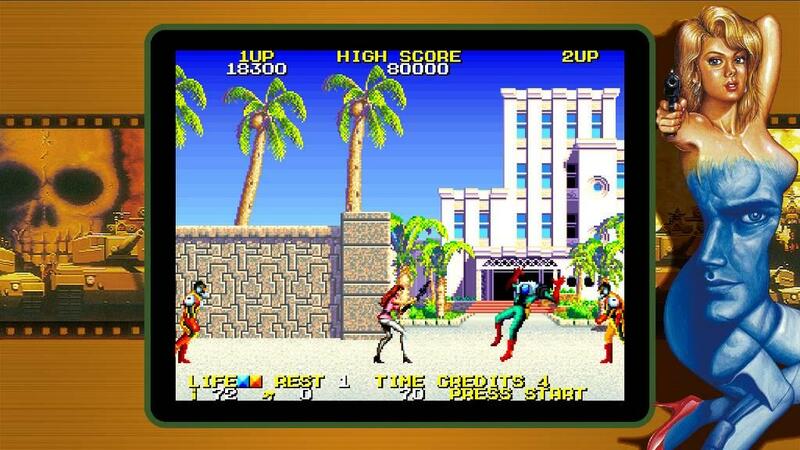 In the end, Namco Museum on the Switch is a fun collection of arcade classics but they’re mostly not anything we haven’t seen before. It also doesn’t help that there’s only eleven games on this compilation and while I don’t mind seeing a few staples like Pac-Man and Galaga, it would have been nice to see Namco add a few more titles on here. Perhaps maybe even a few that have rarely been seen on other platforms. 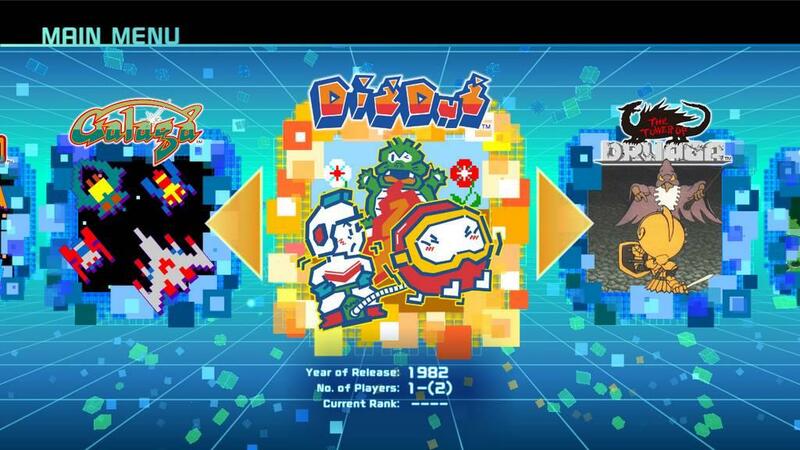 Personally I would have loved to see the aforementioned Mr. Driller and Bosconian, two of my favorite Namco games. I’m not saying the compilation is bad: the challenge modes for the arcade titles adds a nice…well, challenge to the set and having online leaderboards for both the challenges and the core games is a great incentive to keep you coming back. Plus playing these on the go is a nice touch and if you have two Switches, Pac-Man Vs. is a lot of fun. I just wish that for thirty dollars we got a few more titles and maybe a few we’ve rarely seen on Namco compilations to this point. 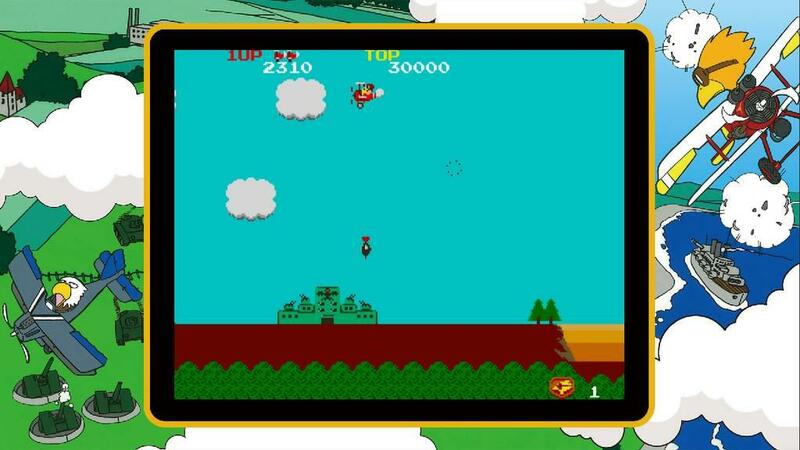 Namco Museum is a nice way to bring so classic arcade titles to the Switch, but they’re mostly not anything we haven’t seen on past platforms. Playing some classics like Pac-Man, Galaga ’88, and Rolling Thunder on the go is a nice touch and is probably one of the main reasons to get this version of the game. However, with only eleven games (ten not counting Pac-Man Vs.), and a few of those are pretty much staples for Namco collections, a few more additions would have been nice to see, especially games we rarely get on compilations.